I’m continuing my exploration of high-key painting, which I define as painting in a narrow range of values, in the higher key of lights. I don’t know where this is going to lead, but it’s great to practice the control in value needed to get these paintings to work. I think I’m going to paint this scene again, perhaps a few times, each time narrowing the values further. I know looking at this now I could have taken it further, and made my darkest darks much lighter. I usually paint in a more dramatic, contrast’y way, but every technique I learn builds me as an artist. What do you think? 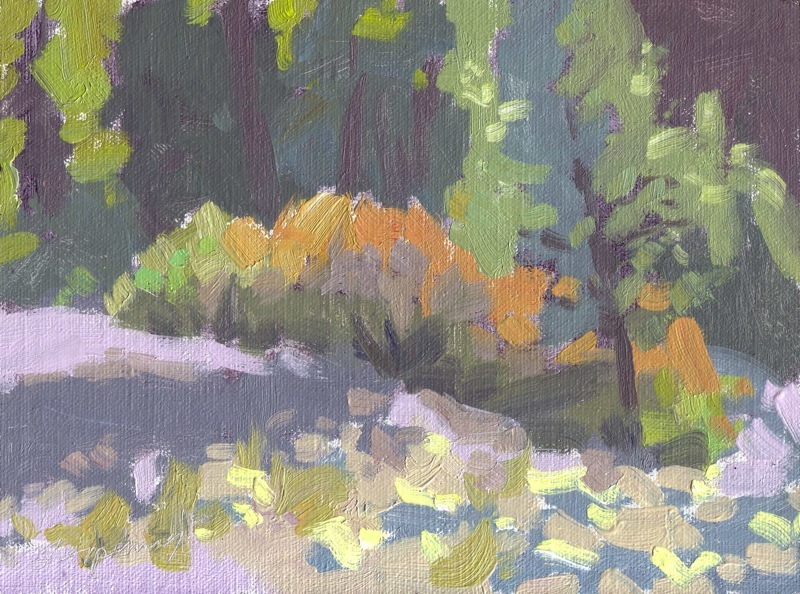 Riverbed, High-key Study - Oil on Linen - 6x8"